One Step at a Time | The story of baby elephant's fight for survival. Welcome to the official site of the children’s picture book, One Step At A Time, written by Jane Jolly, illustrated by Sally Heinrich and published by Anna Solding, Publisher, MidnightSun, all from Adelaide in South Australia. 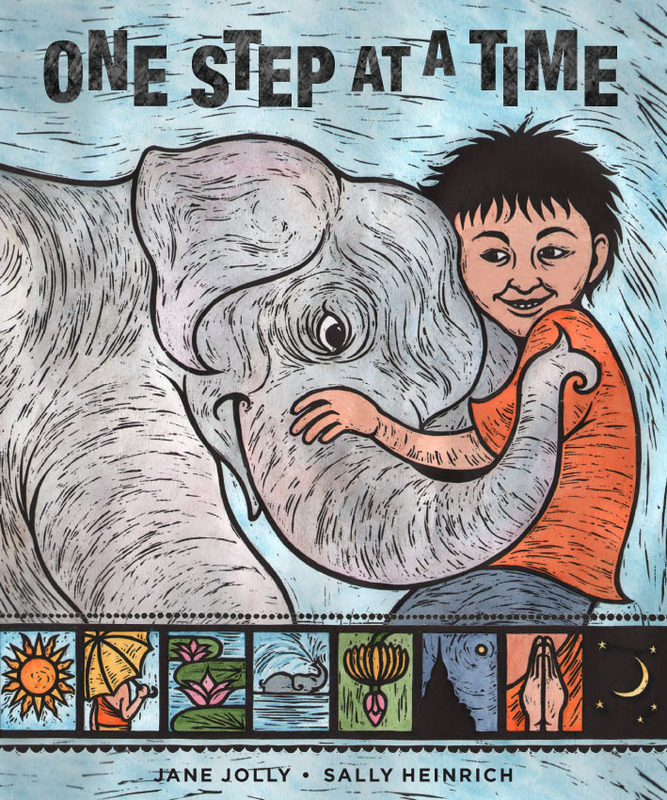 One Step At A Time is a touching story about a young boy, Luk, and his baby elephant, Mali. When Mali accidentally steps on a landmine what follows is a story of courage, bravery and true love. We are all thrilled that One Step at a Time has been awarded an Honour in this year’s CBCA Picture Book of the Year Awards! Thanks again to all the people who supported us on the journey to bringing this book to life, and to the CBCA for all their hard work promoting Australian Children’s and YA books and creators. For the full list of winners and honour books in all categories of the awards, click here. Keep following this blog for news and updates. Thanks for your support Aisha!